HSSC Result 2019: Below are the latest results published by HSSC - Haryana Staff Selection Commission (HSSC) / www.hssc.gov.in. The recent result announced by the organization is PGT Commerce (Rest of Haryana) 2015 Result 2019. HSSC PGT Commerce (Rest of Haryana) 2015 Result 2019: Haryana Staff Selection Commission (HSSC) has announced the Result on 07 Jan 2019 for HSSC PGT Commerce (Rest of Haryana) 2015 Exam . HSSC TGT Physical Education (Rest of Haryana) 2015 Final Result 2019: Haryana Staff Selection Commission (HSSC) has announced the Result on 05 Jan 2019 for the exam . Result Advt No: 4/2015, Cat No. 16. HSSC PGT Sanskrit (Rest of Haryana) 2015 Result: Haryana Staff Selection Commission (HSSC) has announced the Result on 02 Jan 2019 for HSSC PGT Sanskrit (Rest of Haryana) 2015 Exam . HSSC PGT Mathematics (Rest of Haryana) 2015 Result: Haryana Staff Selection Commission (HSSC) has announced the Result on 01 Jan 2019 for HSSC Mathematics (Rest of Haryana) 2015 Exam . HSSC PGT CHEMISTRY (Rest of Haryana) Result 2018: Haryana Staff Selection Commission (HSSC) has announced the Result on 28 Dec 2018 for HSSC PGT CHEMISTRY (Rest of Haryana) Exam 2018 . HSSC PGT Fine Arts (Rest of Haryana) 2015 Result: Haryana Staff Selection Commission (HSSC) has announced the Result on 27 Dec 2018 for HSSC PGT Fine Arts (Rest of Haryana) 2015 Exam . HSSC TGT Home Science (Rest of Haryana) and (Mewat) 2015 Result: Haryana Staff Selection Commission (HSSC) has announced the Result on 24 Dec 2018 for the exam . HSSC PGT History (Rest of Haryana) 2015 Result: Haryana Staff Selection Commission (HSSC) has announced the Result on 24 Dec 2018 for the exam . HSSC PGT English (Rest of Haryana) 2015 Result: Haryana Staff Selection Commission (HSSC) has announced the Result on 24 Dec 2018 for the exam . 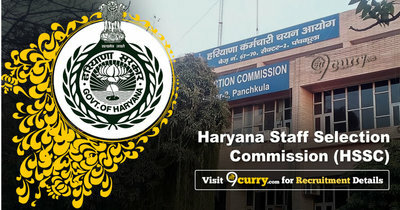 HSSC TGT Punjabi (Rest of Haryana) Result 2018: Haryana Staff Selection Commission (HSSC) has announced the Result on 20 Dec 2018 for HSSC TGT Punjabi (Rest of Haryana) Exam 2018 . HSSC PGT Commerce (Rest of Haryana) Result 2018: Haryana Staff Selection Commission (HSSC) has announced the Result on 19 Dec 2018 for HSSC PGT Commerce (Rest of Haryana) Exam 2018 . Result Advt No: 03/2015, Cat No. 02. HSSC TGT Physical Education (Rest of Haryana) Result 2018: Haryana Staff Selection Commission (HSSC) has announced the Result on 17 Dec 2018 for HSSC TGT Physical Education (Rest of Haryana) Exam 2018 . HSSC PGT Hindi (Rest of Haryana) Result 2018: Haryana Staff Selection Commission (HSSC) has announced the Result on 10 Dec 2018 for the exam . HSSC PGT Sanskrit (Rest of Haryana) Result: Haryana Staff Selection Commission (HSSC) has announced the Result on 10 Dec 2018 for HSSC PGT Sanskrit (Rest of Haryana) Exam . HSSC PGT Chemistry (Mewat) 2015 Result: Haryana Staff Selection Commission (HSSC) has announced the Result on 06 Dec 2018 for the exam . HSSC PGT Physics (Mewat) 2015 Result: Haryana Staff Selection Commission (HSSC) has announced the Result on 06 Dec 2018 for the exam . HSSC Laboratory Attendant Result 2018: Haryana Staff Selection Commission (HSSC) has announced the Result on 06 Dec 2018 for HSSC Laboratory Attendant Exam 2018 . HSSC "PGT English (Rest of Haryana) 2015 Result": Haryana Staff Selection Commission (HSSC) has announced the Result on 05 Dec 2018 for HSSC PGT English Exam 2015 . HSSC Conductor Final Result 2018: Haryana Staff Selection Commission (HSSC) has announced the Result on 03 Dec 2018 for HSSC Conductor Final Exam 2018 . HSSC PGT Psychology Result 2018: Haryana Staff Selection Commission (HSSC) has announced the Result on 01 Dec 2018 for HSSC PGT Psychology Exam 2018 .